Seven years have passed since a small team from Switzerland and France went to Bhutan for the first time to carry out geophysical measurements, in collaboration with the Department of Geology and Mines in Thimphu. Our first, smaller campaign triggered two, multi-year national projects, one in each of the European partner countries. In 2017 both projects end, and related scientific results are published. To reach out to the general public in Bhutan, the project PIs wrote a summary which appeared in today’s issue of Kuensel, the most read Bhutanese newspaper: What we have learnt about Bhutan earthquakes in recent years [PDF]. With the Summer the fieldwork season has started (at least on the Northern hemisphere). 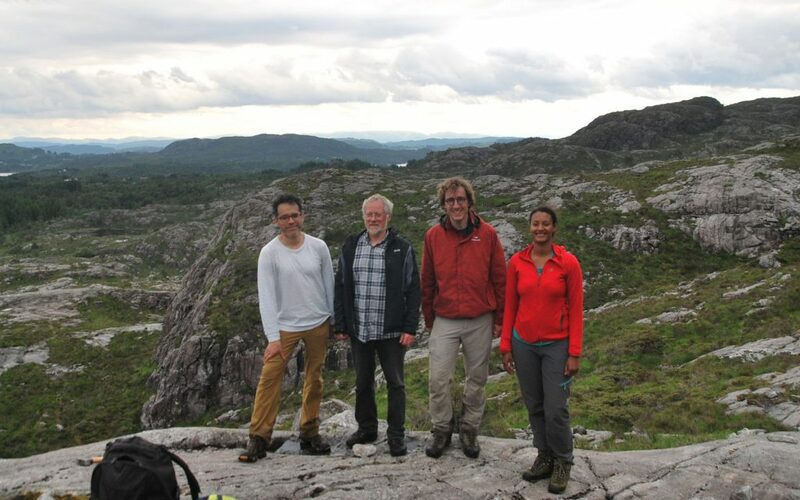 To warm up slowly, the first destination was Norway where Celso, Kristel and Benjamin Malvoisin have worked with Håkon Austrheim on eclogitization.